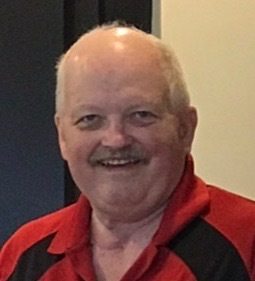 Thornton Buck F. III "Bud" Unexpectedly, On Friday, March 15, 2019, in Kississmee, Fl, with his wife, son, and close friends by his side, of Gibsonia and formerly of Millvale. Son of the late Audrey and Buck F. Thornton Jr.. Son-in-Law of Lois A. and the late Erwin H. Betz. Wife of 40 years to Nancy A. "Betz" Thornton. Father of Buck F. "Buddy" (Amy) Thornton IV. Proud Pappy of Makayla and Isabella Thornton. Brother of Carrie Sue (Bill)Getchell . Also survived by sisters and brother in law, nephews, nieces, great nephews and nieces and close special friends. Friends received Wednesday 1- 8 PM at the Hahn FH & Cremation Services Inc. 123 North Avenue, Millvale. Services Thursday 11 AM. Buck was a Police Officer for over 39 years, starting in Millvale and ending his career at the University of Pittsburgh. I know he can not be replaced. I know we loved him to the moon and back. But I assure you that love never dies. Our world will never again be the same. We already miss you terribly. Beloved husband, brother, father, grandfather, family member, friend, world traveler, loved flowers and dogs and much, much more.